In 2010 we traveled to Mexico’s Yucatan Peninsula and visited a lot of Mayan ruins. 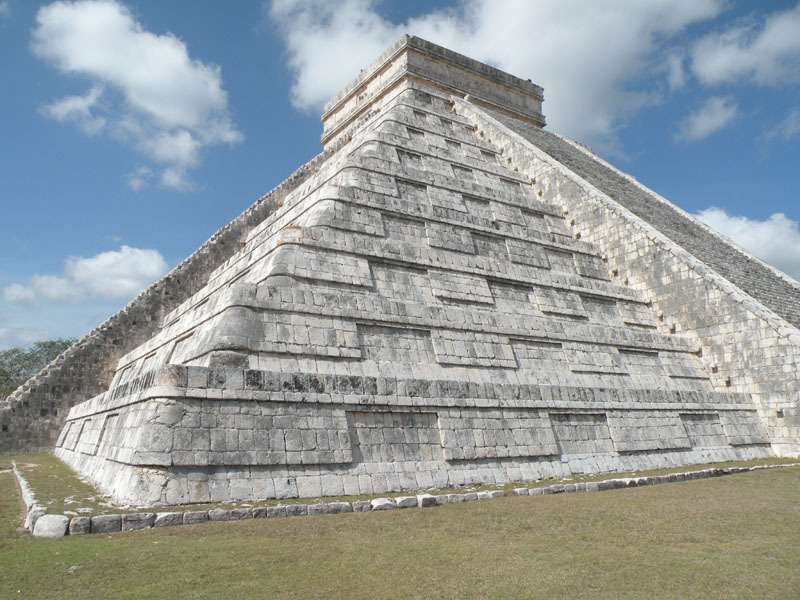 One of the most impressive sites we visited was the “El Castillo” pyramid at Chichen Itza. It is an amazing piece of architecture and we can’t wait to see the other great wonders of the world. It’s 2012 and We’re all Gonna Die!!! 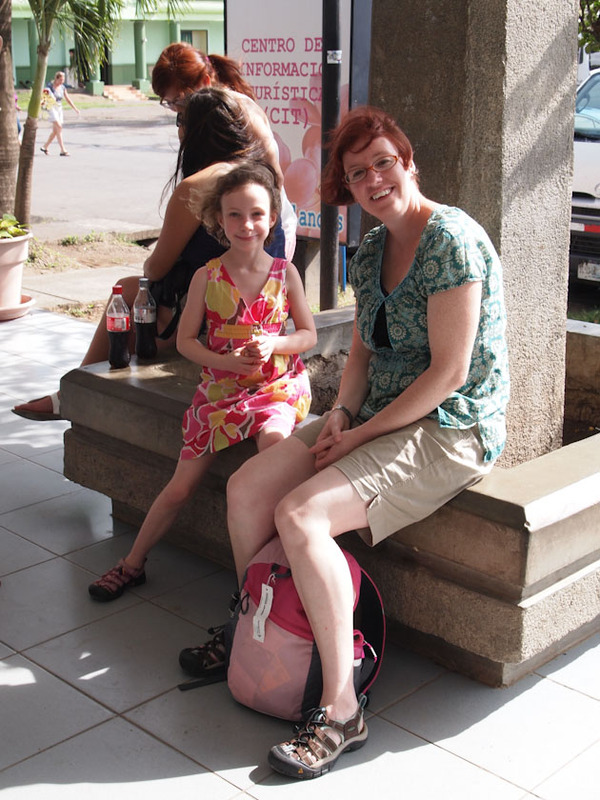 On our visit to Costa Rica a few months ago we were staying really close to the Nicaraguan border. Having grown up in the 1980’s it was hard to not have seen Nicaragua in the news. Nicaragua was like a scab to the Reagan administration and they could not stop picking at it. Before the CIA’s covert operations and Reagan’s embargo against the country, Nicaragua had more wealth than Costa Rica. But because of the United States, Nicaragua ended up one of the poorest countries in the world. So we were curious. We’re they still mad at the US? What does one of the poorest countries in the world look like? 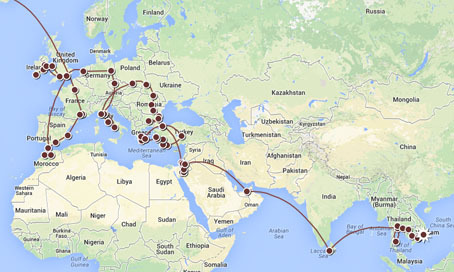 Being the ever curious and adventurous traveler, we wanted to find out! We had a rental car and it would have been easy to just drive up to the border and cross, right? It would be easy if the rental car companies allowed you to cross borders, but they don’t. Looking around online I found that there is a parking lot at the border crossing where you could park your vehicle, walk across the border, and then grab a taxi to Granada, or wherever you wanted to to go for a fair price. This seemed like a good option, until we found out another fact. The line to the border is long! There is a line of semi-trucks miles long. It is said to take a truck 2-3 days to cross the border. Yikes! Fortunately, the hotel we were staying at, Ecoplaya, offered a day trip to Nicaragua. The price seemed a bit steep, but in hindsight after having actually done the tour, it was a well worth it. To prove the point of how few people were staying at our hotel, every single person staying there signed up for this tour and we all fit into a single van. On the day of the tour we all loaded into the van at the hotel and drove north towards the border on the 2-lane Pan-american Highway. One lane heading north, the other lane heading south. We soon approached the line of trucks for the border crossing and learned that our van driver was actually a taxi driver, which showed in his aggressive game of leap frog. He would jump out into the lane of oncoming traffic (trucks) and floor it until we came to a vehicle heading right at us. He would then squeeze between two massive trucks at the last second, or pull off the road. It was very unnerving having to experience this for miles and miles, but it was the only way to get to the border. There was no way we would have been able to make it to the border driving ourselves. The screams from my wife, Kerri, would have made us all suffer permanent hearing loss. Our tour guide, Humberto, was a seasoned pro at this border crossing thing. He expertly guided us to the correct windows to get our passports stamped and before we knew it, we were in Nicaragua. 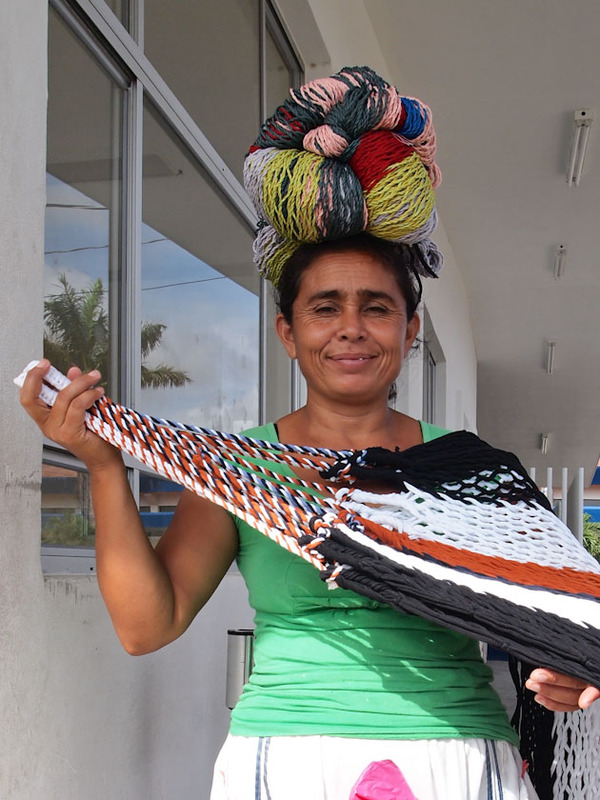 A group of hawkers were selling their goods and we could not pass up buying a beautiful handmade hammock for $7 USD. We are suckers for hammocks, especially at those prices. We also noticed political posters covering everything. 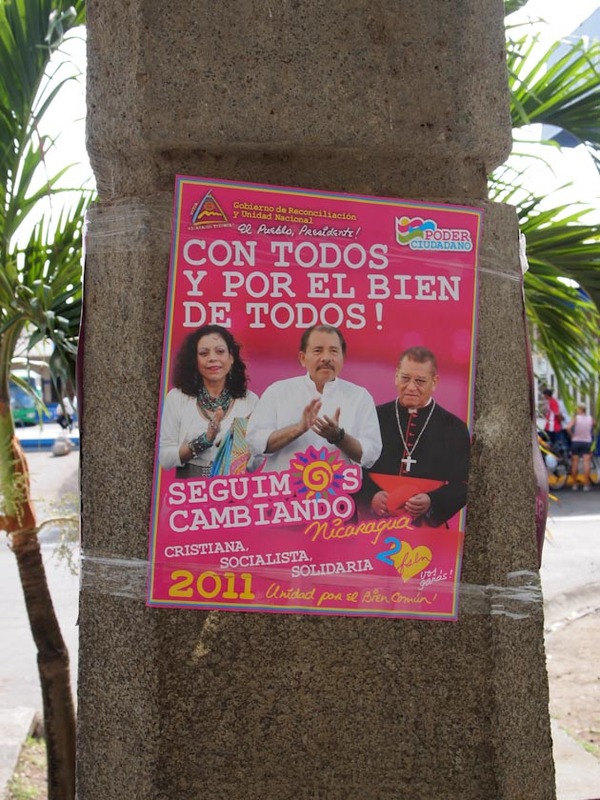 While political posters are not an uncommon sight while traveling or even back home, we did not expect to see Daniel Ortega on them. Wow, there was so little we knew about this country. 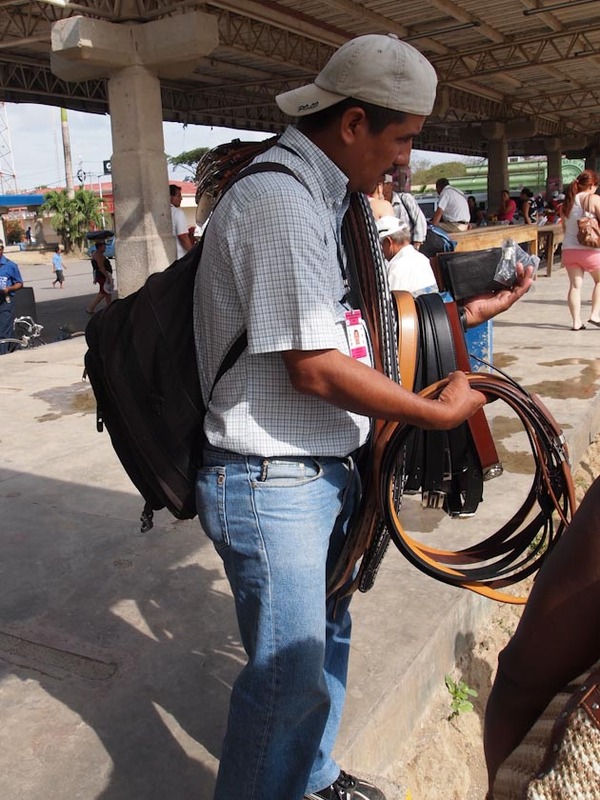 Humberto suggested we go into the heavily armed bank located on the Nicaraguan side of the border and exchange some money for Nicaraguan currency, the Córdoba. He suggested we get small bills if we were planning on buying anything because most people in Nicaragua cannot make change for large bills. When everyone had exchanged their money we loaded back into the van and headed north. We passed through what looked to be a shanty town just north of the border and we got our first glimpse of why this country was one of the poorest in the world. The houses, if you could call them that, were slapped together with whatever the people could find. We continued north and soon got our first glimpse of Lake Nicaragua and volcanic Ometepe Island. Lake Nicaragua is home to the world’s only freshwater shark and you could easily be eaten if you go for a swim. No thanks! We passed many agricultural farms and a wind turbine farm, which I never would have imagined being in this country. Once again, there was so little we knew about Nicaragua.